Are you planning an epic trip to Southern California this summer? If you’re stopping in San Diego, you’ll really be in for a treat when you stay with Foxwood Corporate Apartments. Not only will you experience a true native’s perspective in your very own furnished apartment, you’ll always have convenient access to San Diego’s bus and trolley system! Centrally located at Foxwood Apartments in San Diego, the San Diego 933 bus stops right in front of Foxwood Apartments on Delcardo Avenue. Once you board the 933 bus, you’ll be moments away from the town’s closest restaurants, shopping centers, and local entertainment, after a few minutes, you’ll be arriving at the Palm Avenue Trolley Station. The San Diego trolley stretches to all parts of San Diego including the U.S./Mexico border, Coronado, Old Town, Mission Valley, Downtown San Diego, Little Italy, and beach areas. No matter where you want to go or what you want to do, the San Diego bus and trolley schedule can get you there smoothly and efficiently. The San Diego bus and trolley schedule is very punctual, allowing you to run out the door, hop on the bus, and get to your destination in no time at all! For more information and details regarding the San Diego bus and trolley schedules or a great trolley map, visit the Public Transportation portion of our website. Your stay in San Diego can be comfortable, affordable, and so convenient! Get public transportation right outside your front door with the temporary housing options we offer at Foxwood Corporate Apartments. We look forward to your relaxing summer getaway to America’s Finest City! The relaxing details and fine attractions of Long Beach make it well worth the trip up to Los Angeles County. Long Beach is a mellow beach town right on the Pacific coastline. Known as the second busiest port in the United States as well as one of the world’s largest shipping ports, Long Beach is a combination of a shipping industry as well as a tourist hot spot. Naples Island in Long Beach has many similarities to Venice in Italy. The canal system is so beautiful and gondola boat rides are available on authentic Venetian gondolas all day long. Stroll through the neighborhood, stop for some ice cream, and enjoy the essence of Italy captured on Naples Island. The Queen Mary is peacefully floating at the Long Beach port and it’s open to the public! The Queen Mary has been parked in Long Beach since 1967 and its 1930’s dÃ©cor and teakwood decks serve as a historic museum and hotel. Haunted tales and nighttime ghost tours are also available. Learn more about the Queen Mary online! It’s a definite must-see if you’re visiting Long Beach. If you plan on staying for a few days, take the Catalina Express to the gorgeous island of Santa Catalina, just one hour off the coast of Long Beach. The Catalina Express begins its trips to Catalina Island at 6:15 a.m. with the latest trip leaving around 8 p.m. Catalina Island is great for a day at the beach, driving around the island in golf cart rentals and seeing the unique qualities that make Santa Catalina Island a hotspot for the rich and famous. Dive deep into the depths of the ocean and explore the mysteries of the Pacific. Meet 11,000 different animals in 50+ exhibits at the swanky Aquarium of the Pacificâ€¦ and it’s not just for kids! Any age will find this aquarium truly fascinating! The Aquarium of the Pacific also has a unique shark exhibit that is just stunning. Take a day trip and see all of the Pacific’s vast population of fish and animals. Welcome aboard the only battleship that’s open to the public! Named 2013 SSHSA Museum Ship of the Year, USS Iowa takes you through a journey of history and war from World War II, the Korean War, and the Cold War. The longevity of the Battleship Iowa allows you to take an adventure as a sailor of a lead ship in the last class of gunships. Battleship Iowa also hosted three presidents including Franklin D. Roosevelt, see the special Captain’s Cabin where a bathtub was installed for these presidents. After almost 70 years of service, the Iowa has a very distinct history. Enrich your trip to Long Beach with a tour of this historical museum. Have you been stationed in San Diego for military duty? Don’t worry about your military housing accommodations, let Foxwood Apartments help you settle into SoCal living comfortably with our one- and two-bedroom military apartments! Whether you’re stationed in San Diego for training, temporary duty, or a more permanent position, Foxwood Apartments offers great military apartments at just a fraction of the cost! That’s right, we give a special discounted rate to all military members as an appreciation for their endless dedication to our country. We also have a convenient application process that is so easy and quick, you’ll be approved for housing in no time at all! If you need a military home, we guarantee you’ll be ready to go before you arrive in America’s Finest City. 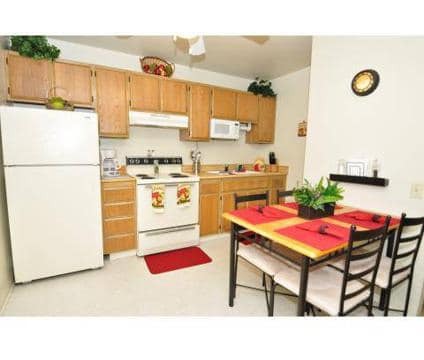 We also have a great location that is ideal for off base military living. Our military apartments are just blocks away from the I-5 and I-805 freeways allowing you to commute to work quickly or explore the city without having to deal with complicated directions. Foxwood Apartments is just minutes away from the 32nd Street Naval Base in addition to Coronado Island, getting to work will be a breeze for any military member. When it comes to serving our military guests, we like to offer many special amenities in our apartments as well as around the apartment complex. 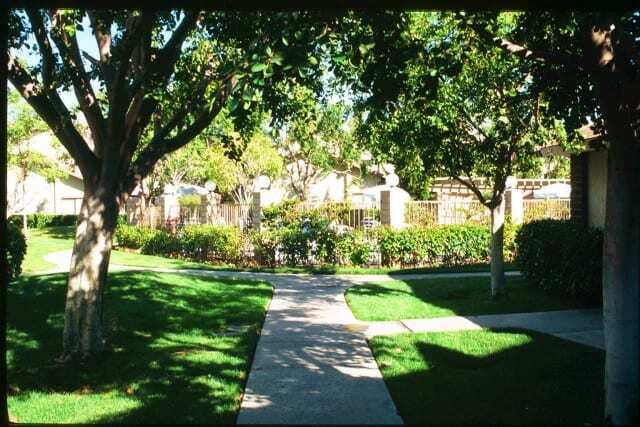 Surrounded by a beautiful garden park, Foxwood Apartments has a heated pool and spa that’s perfect for relaxing, on-site parking and laundry facilities, and many household essentials to ensure you have everything you need to enjoy your military stay in San Diego. For more information regarding our special military rates and easy application process, please visit us online! We look forward to your military stay with us at Foxwood Apartments! Just imagine a business stay that actually feels like a vacation! If you think that thought is next to impossible, you’ve never lodged with us at Foxwood Corporate Apartments! We spice up any ordinary business trip to San Diego with sensational views, incredible rooms, and all the amenities you could ever dream of! When you arrive at our corporate housing, you’ll instantly feel relaxed by the country club ambiance in addition to the heated pool and spa that serve as the centerpiece of our business accommodations. The surrounding greenbelt garden park is so beautiful that it would be wrong not to enjoy it! Go for a walk, lounge by the pool, or soak in the relaxing Jacuzziâ€¦ you’ll feel at ease in no time at all. For the perfect escape from business meetings and the corporate world, spend your time after work hours with us at Foxwood Corporate Apartments. Once you step into your corporate suite, you’ll be blown away by the spacious layout and comforting designer dÃ©cor. In between the full-size kitchen and large living room is a quaint dinette that is ideal for power breakfasts or a quick dinner before you hit the sack. Within the full-size kitchen, you’ll enjoy all the kitchenware, cookware, and utensils needed to whip up a home-cooked meal or heat up a convenient snack in the microwave. We have everything you’ll need to feel right at home. Our corporate housing also has many additional perks from fresh linens and fluffy bath towels to weekly maid service as well as copy and fax services. Whether you’re on the go or working from your corporate accommodations, we provide everything you’ll need for a convenient and comfortable corporate stay. If you want to relax during your business trip, contact us today for more details on our superior corporate housing in addition to our loads of amenities. We guarantee that a corporate stay at Foxwood will be nothing short of luxurious!